It doesn’t take a genius to work out why, when tasked with furnishing us with an entry in our Best of Everything series, Canadian rockers The Glorious Sons plumped for The Boss. As well as a predilection for good, old-fashioned rock’n’roll, TGS also take cues from Springsteen’s expansive storytelling in their cinematic tales of adventures and teenaged misbehaviours. 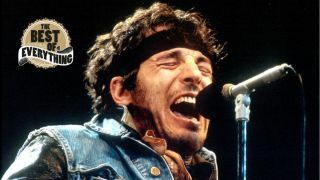 To celebrate their UK tour, which kicks off next week, guitarist Jay Emmons joins us to talk us through the best Bruce Springsteen songs as he sees them. Check out full tour dates at the bottom of the page. The Glorious Sons’ new album Young Beauties And Fools is available now via Earache Records.